British consumers are far more likely to associate ads with fake news when compared to their European or American counterparts. The study of over 2,500 consumers from Rakuten Marketing, finds 71% of Brits now associate ads with fake news as opposed to 54% of French and German respondents and 58% of Americans. 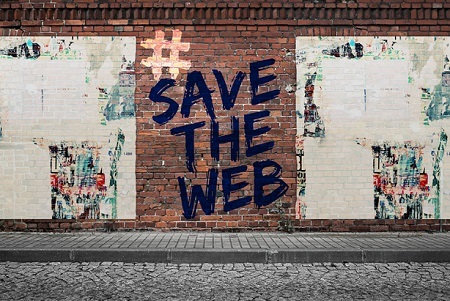 The stats have been released as part of Rakuten’s mission to ‘Save the Web’ as fake news, pop-up ads and pre-roll video spots tarnish consumer perception towards brands. However, it’s not all doom and gloom: 70% of global consumers want advertisers to know advertising is OK when the ad content is useful to them and nearly a third of UK consumers (31%) actively follow an online blogger or social influencer. As David Remnick, editor of the New Yorker, took to the stage at Cannes Lions to discuss how brands can retain trust in the era of untruth, Rakuten Marketing’s latest insights report reveals 71% of UK consumers now associate ads with fake news as opposed to 54% of French and German respondents and 58% of Americans. According to the report, Consumer Online Ad Sentiments: What Needs to Change About Online Advertising, most consumers believe online advertising has stayed static or indeed worsened over time. Today, 83% of global consumers say online advertising interrupts their online experience, particularly ads that pop-up and cover content, pre-roll video ads, and ads that are delivered through push notifications. 32% of survey respondents admit to using an ad blocker, and 46% proactively opt out of ads in other ways. Men are more likely than women to take a proactive action to block an ad; they are 41% more likely to use an ad blocker, 16% more likely to opt out of ads, and 17% more likely to clear their cookies. Intriguingly, it is actually 43% of Americans that quote themselves as having had a bad experience with an online ad, as opposed to just 25% of UK consumers. Because of a bad ad experience, 45% of consumers will abandon a site and 28% will avoid the site altogether. 26% will clear their cookies to stop receiving ads from a brand, and 19% will avoid brands they associate with bad advertising practices. Not all consumer sentiment about online advertising is negative, according to the report. 70% of global consumers want advertisers to know that advertising is OK when the ad content is useful to them. 65% say advertising can be valuable when it aligns with their interests and is more seamlessly integrated into online content. Many consumers proactively engage with certain advertising channels that are personalised to their likes, lifestyles and interests. For instance, nearly a third (31%) of UK consumers actively follow an online blogger or social influencer and an impressive 84% will seek out coupon codes before making a purchase. Rakuten Marketing is taking action on these findings by launching a leadership movement to Save the Web. The goal is to promote greater transparency, create more meaningful consumer engagement, decrease ad blocking, and increase revenue opportunities. The full Rakuten Marketing Insights Consumer Online Ad Sentiments results are available here: rakutenmarketing.com/save-the-web. The survey was completed by more than 2,500 global consumers who responded to an online questionnaire distributed by third-party research company, Qualtrics. The questionnaires were completed between 17th and 21st April 2017. Follow Save The Web on Facebook to get ongoing updates, insights and news about consumers’ relationships with online advertising. For more information about Rakuten Marketing and its integrated marketing solutions that deliver clear and actionable insights into consumer experiences, visit RakutenMarketing.com.